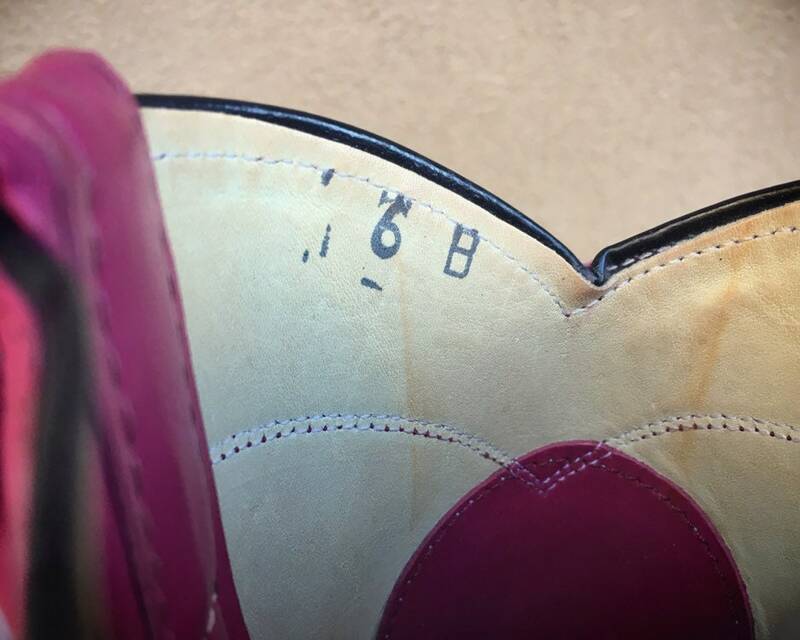 These vintage cowgirl boots have a mark on the inside that seems to be 6B but that is apparently not the size. They fit my Size 7.5 foot pretty well, although if you wear thick socks, they might be best suited for a Size 7. 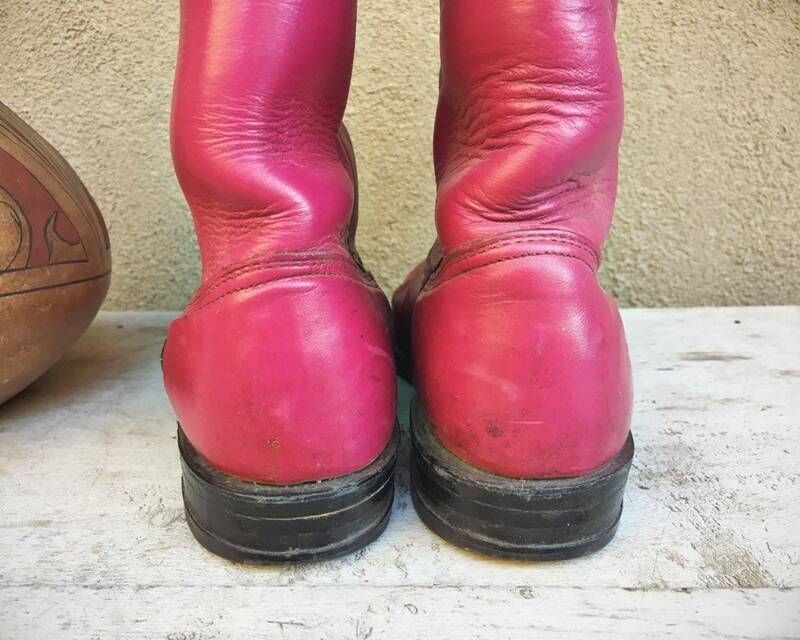 The deep magenta pink color is fabulous, and they're pretty darned good condition. Nice dark, almost black piping up the sides and along the top. 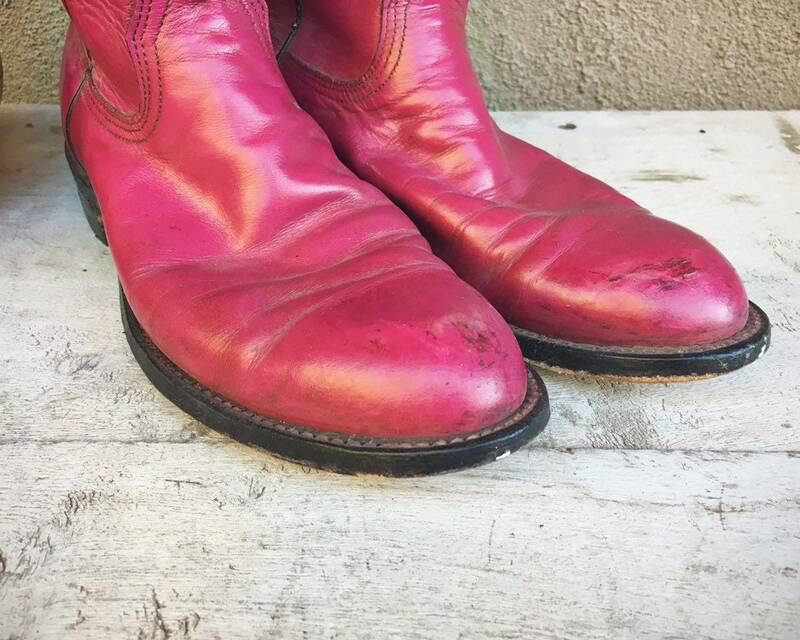 Some scuffing on toe and heel, but that's just adds to the authentic cowgirl look and feel. 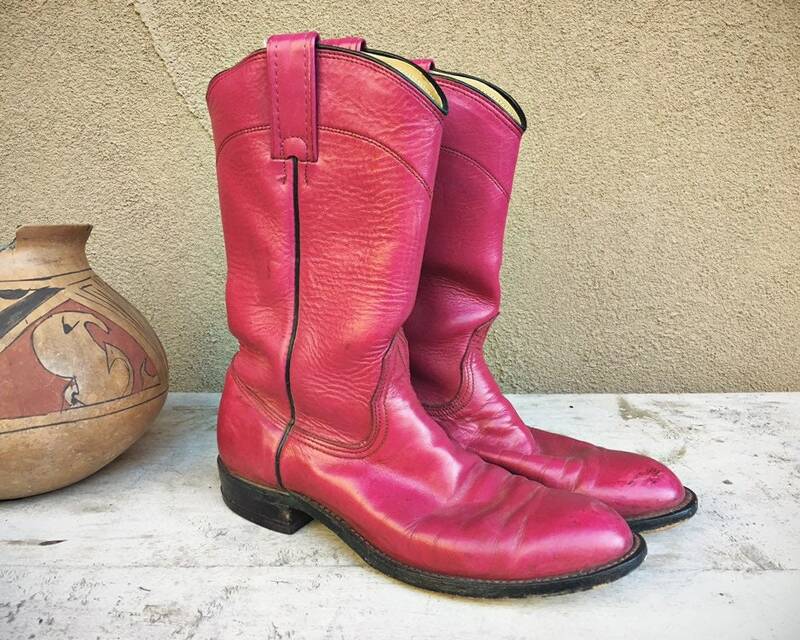 This pair of boots is what we call a roper, which means the toe is rounded and the shaft or upper is relatively short. It's a work boot style, and today is kind of like a motorcycle boot. Super versatile. The leather is a wee stiff from age, and the rubber cap is worn a bit at the very back. Still, in good vintage condition. 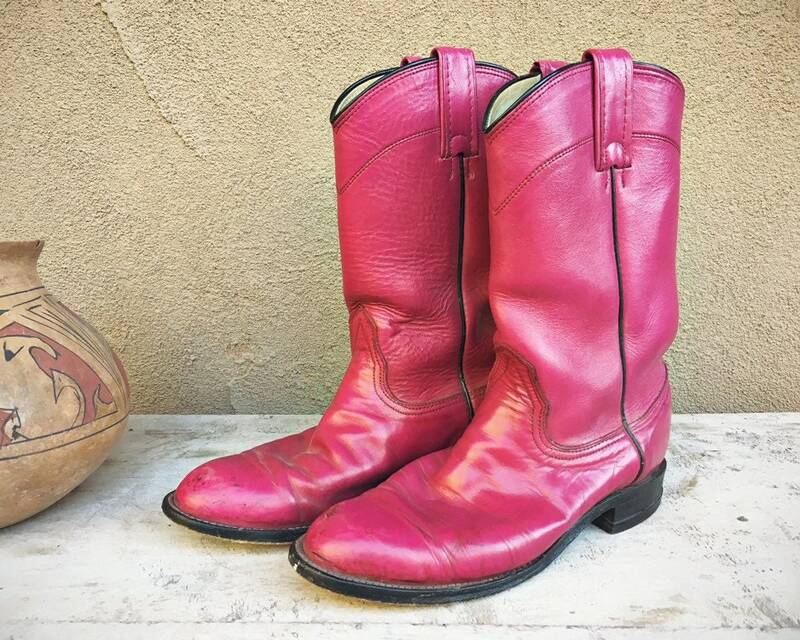 Pink cowgirl boots--Miss Piggy woulda loved 'em. 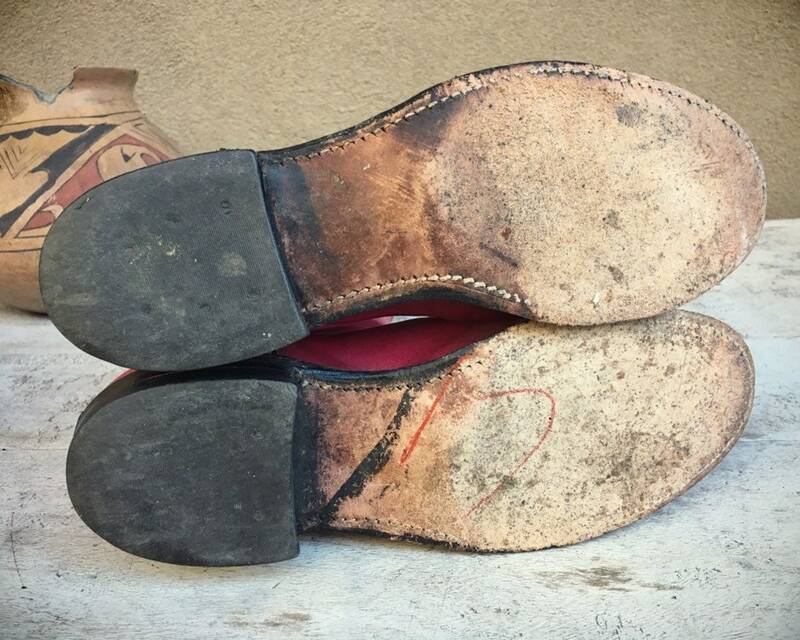 • Sole, heel to toe: 10-3/4"
• Sole, across ball of foot: 3-3/4"
• Shaft, down back from top of the heel (not ground) to the top of the leather upper: about 8-1/2"
• Side seam, from the top of the heel (not ground) to the top of the leather strap: 10-1/4"